To develop and improve professional photojournalism in Russia and around the world. The International Press Photo Contest named after Andrei Stenin, a Rossiya Segodnya photojournalist who died in the line of duty in southeastern Ukraine, will on Saturday begin accepting submissions for its fifth year. ** The Contest is open to Russian and foreign nationals who are professional photographers. 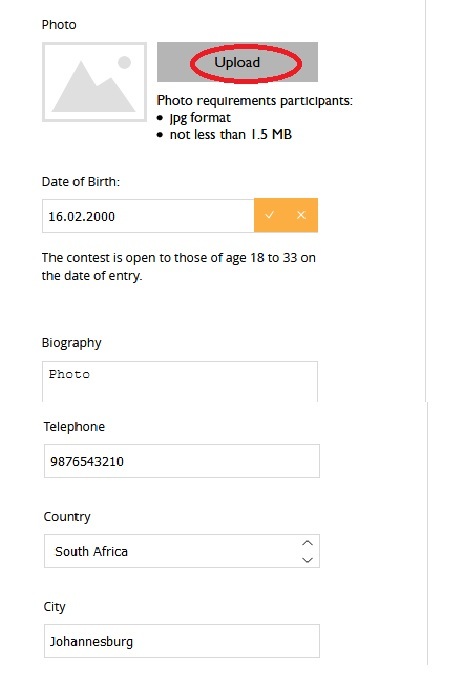 ** The age limits for Contest Participants: at least 18 and no more than 33 years old at the time of the Contestant’s submission of Photo Image(s) to the Contest. ** The Contestant may submit only one Photo Image (Series of Images) in each category. ** Entry for the competition is free of charge. ** Determination of the Winners and Runners-up of the Competition is not accidental. ** The Contest is not a lottery. 4. Portrait. A Hero of Our Time. ** The first, second and third place prizes will be awarded for a single Photo Image in each category and for a Series of photo images. In the category “Inspiration” are selected 1, 2, 3 place for a single Photo. ** In the event that no Photo Image submitted to the Contest complies with the Contest Rules, Winners and Runners-up will not be selected. ** A Grand Prize shall be awarded for the best Contest Entry among Contest Participants in all categories, to be selected by a majority vote of the Jury. ** Entries can be submitted from December 22, 2018, 0:01 am (GMT+3). ** The last day for entry will be February 28, 2019, 11:59 pm (GMT+3). ** Information about the Winners and Runners-up in each category, without indicating the place in which a Runner-up finished the competition, will be posted on the Website on June 13, 2019. ** Winners and Runners-up in each category and in which place they finished, The Grand Prize winner will be announced at The Awards ceremony in September 2019 (the exact date whill be indicated on the Website of the Contest. ** within 3 (three) months from the date of the Award ceremony. Photo Images for the Contest will be uploaded by Contest Participants on the Website. 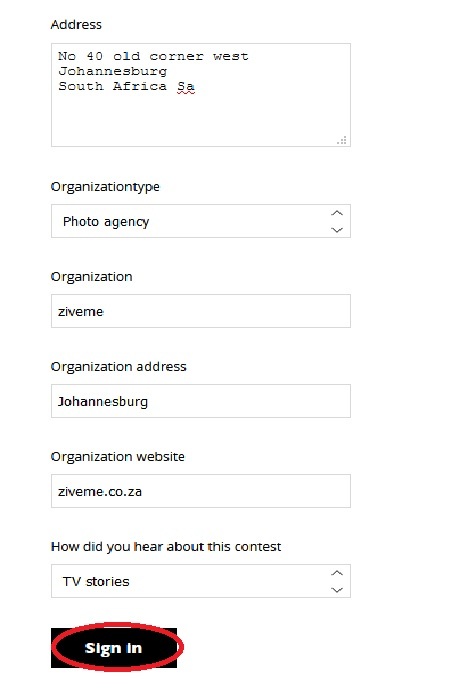 Click on link https://stenincontest.com/docs/about/index.html then select Submit button in home page..
3. Family name and assumed name (if applicable). 9. Region of residence (for Russia only). 17. 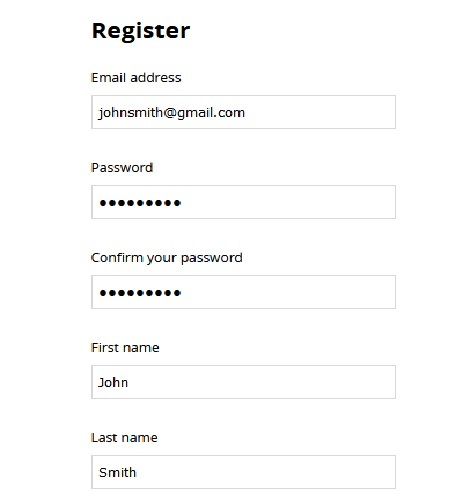 Click on sign in button. ** While uploading each Image, the Contest Participant must fill out a form that includes the title of the Photo Image/Series and a detailed description of the pictured event in Russian or English. ** All the Entries uploaded on the website receive an ID and will participate in the Jury vote under the Contestant’s code and Image ID. The Jury does not know the names of the Contestants before the announcement of the Winners and Runners-up. ** JPG files with compression from 10 and 2,200 px in size; up to 5,700 px on the long side. ** File size: maximum 20 Mb. ** Files must contain all EXIF data. ** Photo Images accepted for the Contest must be created on or after January 1, 2018. ** As an exception, a Series may be accepted that was started in the previous years; however, the last Photo Image must have been created in 2018-2019. ** Contest Participants can submit single Photo Images or a Series. ** The maximum number of Photo Images in a Series: 12 (twelve).